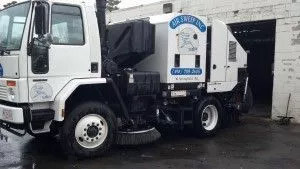 1-800-SWEEPER Partner Directory Air Sweep, Inc.
Air Sweep Inc. is a family owned and operated company out of Agawam, Massachusetts with over forty five years of commercial service. We offer a wide spectrum of power sweeping and related maintenance services. Sweeping of your parking lots and ingress areas, plus emptying your trash receptacles, keeps your property looking its best. Air Sweep’s professional level of services also creates a safer, more inviting environment for your patrons. Our services can assist you with all of your ground maintenance requirements. Construction site and asphalt milling sweeping is of primary importance. We rapidly remove dirt, sand and debris while giving you quality service to keep your project looking its best and your inspectors smiling. Air Sweep also tackles the tough, heavy-duty sweeping required for milling and paving work. Our fleet of over 10 sweepers is maintained on a daily basis by our in-house mechanic. Our equipment is the foundation of our ability to provide our customers with ongoing service. This equipment stands ready to meet your requirements, no matter how large or small your needs, and our trained professionals are eager to do the best job possible. We are a hands-on business with old-fashioned hard work ethic combined with new technology that gets the job done right.